With its rolling hills, ethereal lakes and towns that beg to be explored, the Lake District has so much to offer. With plenty of things to do and places to see, it’s no wonder that so many people flock to the area for their holidays. 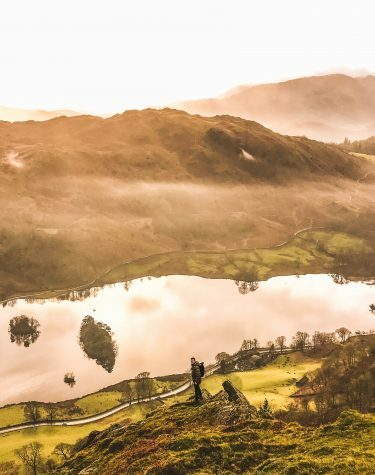 Each year around 17 million people make a trip to the Lake District to discover everything this inspirational region has to offer and experience the unbelievable cinematic landscape for themselves. You may have already made up your mind that the Lake District is the perfect place to buy your holiday home, but if you’re still giving it a good ponder, then we’re giving you five good reasons why you should! Even those who may not have visited the Lake District will know of its beauty. Fascinating geography, landscape and a richness of wildlife draw people to the area and they stay to explore. You’ll never be short on scenes of natural beauty so whether you’re a budding photographer, hiking fanatic or keen birdwatcher the choice of woodland, moorland or shoreline is yours. The Lake District has been home to many literary greats and has served as inspiration to those such as William Wordsworth, Arthur Ransome and of course, Beatrix Potter, who even has her own attraction close to Bowness-on-Windermere. If cycling is your thing then the Lake District doesn’t disappoint. With plenty of trails and valleys to explore for all skill levels, you can soak in the scenes as you whizz by on two wheels. Wonderfully accessible, the Lake District can be reached by land and air. If you’re coming from London it’s just over 3 hours on the train, and there are rail routes from most major cities including Manchester and Liverpool. With plenty of road access you’ll enjoy the journey no matter where you’re coming from as you traverse the ups and downs of the hills and wind your way through the countryside. If you want to approach from the skies, you’ll be able to hop on both private or charter planes to Carlisle airport, which is only 20 miles north of the lakes. Whichever method of transport is taken, the region begs to be ambled through to ensure it’s all taken in. Although it may only be recent history, July 2017 saw the Lake District join iconic sites such as the Great Barrier Reef and Grand Canyon to become a UNESCO World Heritage site. With the landscape forged through centuries of people living in harmony with the land, it’s seen methods grow and develop in the farming community. From uplands to valleys, mining to forestry, the area has seen great change that’s always been sympathetic to what was there before. You’ll also find areas of the Lake District that are as wild and untouched as they’ve always been. An exploration of these parts is incredibly humbling and not to be missed. With factors such as Brexit altering the way we’re living, there’s been an increasing number of Brits choosing staycations for their getaways. According to Visit Britain, 2017 saw a 5% growth to 47 million domestic holidays, and the number for 2018 will be higher still. 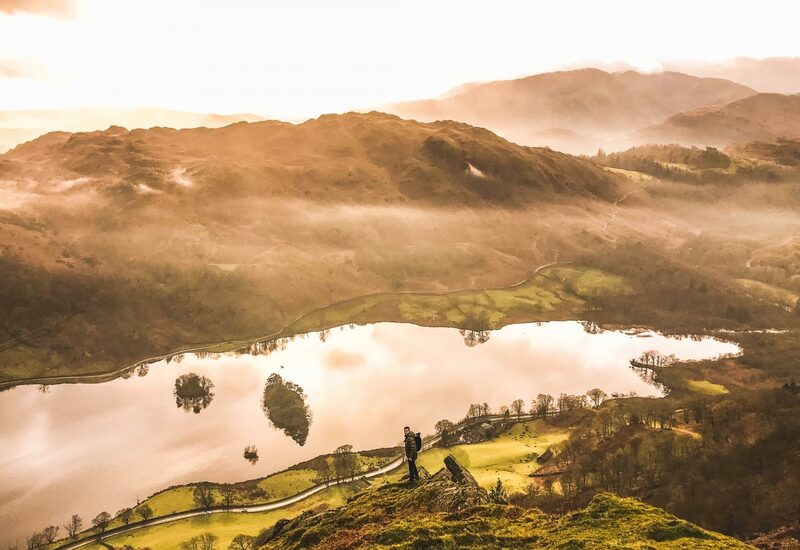 Last minute breaks have gained popularity, and plenty of people are looking to the UK’s most beautiful areas for escape – and the undeniable beauty of the Lake District is certainly an attractive prospect. With an area as cherished as the Lake District, it’s a smart choice to invest in a holiday property. As demand for staycations increase, people will be starting to tick destinations off their bucket list that are a little closer to home. Although the Windemere Lake Cruises are the most popular tourist attraction in the area, they’re also the 16th most popular out the of entire UK – and as the best way to see the 17km length of England’s longest lake, it’s no surprise that over 1 million people hop aboard each year. Owning your own holiday home in this much-loved area means that not only can you experience it for yourself, but you can also give others the opportunity to stay in a home away from home and explore the Lake District in style.